OM INTERNATIONAL Brought New changes for Post Study visa Newzealand...!!! OM INTERNATIONAL has become a renowned name in Student Visa and Immigration Service in Gujarat. Excellence in delivering quality service with strong, ethical and reliable team of professionally experienced consultants. OM INTERNATIONAL Visa Consultancy has made its name in the most prominent visa consultant in the country. We aim client satisfaction at first and utmost place. We are bridge between Immigration aspirants and the better future. Professional team of highly experienced study and Immigration visa consultant at OM INTERNATIONAL personify your mission abroad. An experienced and certified Immigration consultant gives appropriate guidelines to take a leap in career and life. Our professionally trained consultant team delivering excellence through industry knowledge and vast experience. We deals in all type of Students Visa, Visitors Visa, Immigration, Dependent Visa and other services as well. The immigration minister for New Zealand has announced a set of proposals which are expected to change the rights for students who opt for continuing to work in the country after pursuing their higher education in New Zealand. The minister stated that the proposed changes will assist in eliminating the exploitation of migrants and ensure that they are granted residency in order that they may be able to contribute their skills effectively to New Zealand. According to the honorable minister, a huge number of students are conned by fraudulent agencies and are made to believe that they can get themselves on the fast track to residency in spite of their skill levels. This has led to a marked decline in the skill level of the immigrants who are selected for permanent residency. Moreover, the existing rules make aspiring students who are planning to pursue their education in New Zealand, extremely vulnerable to exploitation from fake agents, employers as well as educators. The new changes aim to bring in a number of positive changes which are expected to benefit international students who study in New Zealand. One of the proposed changes intends to remove the mandatory requirement that states that post-study work visas be sponsored by the same employer throughout the stay. This requirement has led to a number of cases where the foreign workers have been exploited by employers as they are wholly dependent on them for their continued stay in the country. The proposed change is also expected to limit the duration of post-study work visas to one year for undergraduates and do away with visas for those whose study in New Zealand is of less than two years duration. This change would assist in ensuring that only students with the requisite skill sets will be granted the visa. Under the new rules graduates would be allowed to apply for other visas after the completion of the post-study period but will have to meet the required criteria. The Minister stated that he recognized the importance of work experience in the country for students and that the proposals put forward by him were intended to protect students from exploitation, while at the same time enabling them to gain meaningful work experience. The minister also reassured the students that the changes would not affect the current visa status for student visas or post-study visas. 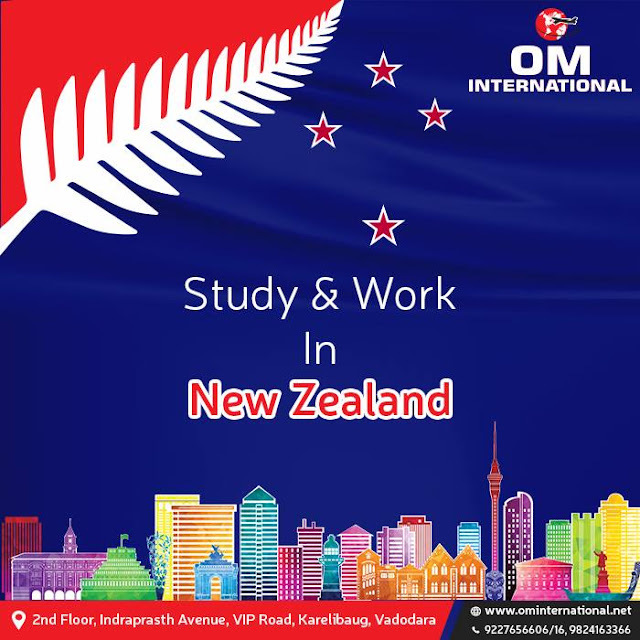 To know more about the proposed changes and its impact on your prospects after education in New Zealand reach out to our expert New Zealand education consultants at OM INTERNATIONAL. 5 Best PNPs to get Canadian PR through OM INTERNATIONAL...!!! OM INTERNATIONAL is a global Leader in providing best online Immigration Solutions and since Immigrating to a new country can sometimes be an overwhelming Process, OM INTERNATIONAL visa consultant helps to minimize these challenges, particularly the confusion and Frustration that is often associated with the visa application process. 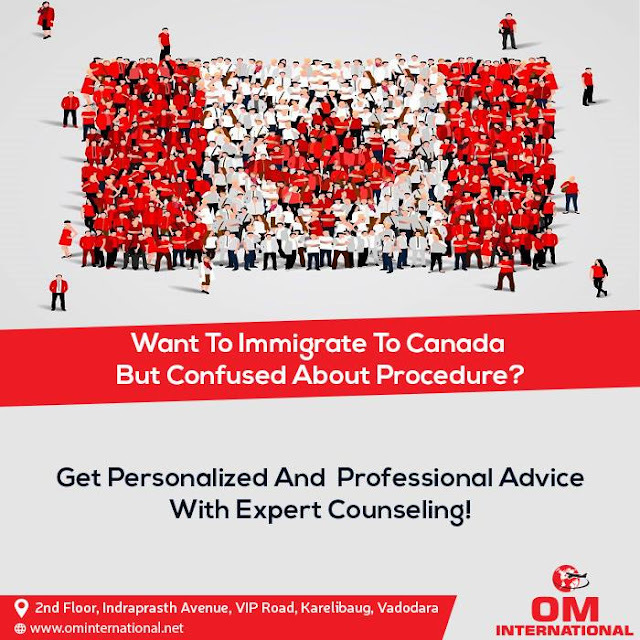 OM INTERNATIONAL Visa consultancy has the best team of experts and professionals who have been in the immigration industry for many years and are well versed with current rules and laws and will administer due process that delivers to clients a win-win success rate for their migration need. Provincial Nominee Programs (PNPs) offer the alternate pathways to the Canadian PR aspirants waiting for their invitation to apply in Express entry for a long time. Although, Express Entry still remains the fastest and most organized pathway to obtain PR visa, however, it’s not suitable to the applicants with considerably low immigration point score or CRS (Comprehensive Ranking System) score. The applicants with low CRS, often opt for PNPs, who accept them even with low point score and help them acquire the much needed Canada PR invitation. The provincial nominee programs invite the applications from interested skilled professionals from overseas and subsequently, nominate the selected ones for Canadian PR which directly or indirectly help the applicants get permanent residency in Canada. Here is the list of top 5 Canadian Provincial Nominee Programs (PNPs). The Saskatchewan Immigrant Nominee Program belongs to the Saskatchewan province in Canada. It ranks right on top of the list simply because of its two most popular streams, i.e. occupation in demand stream and Express Entry stream. The best part of these two subcategories of SINP is that you don’t compulsorily need any job offer to apply in any of the two. Moreover, the Occupation in Demand (OID) stream accepts the applicants even with low language proficiency, i.e. CLB4. The Ontario immigrant Nominee Program (OINP) belongs to the major and most vibrant Canadian province Ontario, which is home to some top cities of Canada including Ottawa, the capital city of the maple leaf country. The Express Entry Stream of OINP is largely popular among the foreign skilled workers willing to get Canadian PR visa. It helps the applicants to obtain 600 additional CRS points in express entry and subsequently, the Canada PR invitation. Nova Scotia Nominee Program (NSNP) is another very useful provincial nominee program for the skilled workers aspiring to get PR Visa in Canada. The most popular subcategory of NSNP is Nova Scotia Demand- Express Entry Stream (Category B), as it helps add massive 600 points to your express entry CRS score without any compulsory job offer requirement. Alberta is a vibrant province of Canada so it its PNP, i.e. Alberta Immigrant Nominee Program (AINP). Recently, AINP has restructured the whole program and launched a new few new streams as well. Its newly launched Express Entry aligned stream among the two has become popular among the immigrants in no time. You can apply in AINP- Express entry stream to obtain ITA (Invitation to Apply) for Canada PR. British Columbia province has its PNP, i.e. British Columbia Provincial Nominee Program (BCPNP), which provides a key pathway for Canada PR. Express Entry BC- Skilled Worker Category of BCPNP is widely popular among the skilled workers. To select the best Provincial nominee program based on your profile and apply in the same you must take assistance from a genuine registered Consultancy service. You may rely on OM INTERNATIONAL immigration- the top and accredited consultancy service for Canada immigration and PR. Apply at Catholic University of West, France!! Through OM INTERNATIONAL...!!! Apply at Catholic University of West, France!! 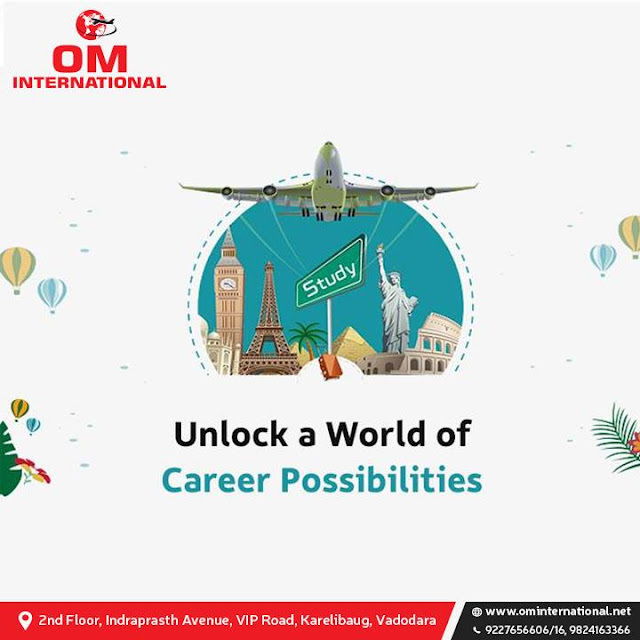 OM INTERNATIONAL is among the most experienced in the field of Student Visa & Immigration since the year 2000; we have successfully deal with immigration applications and situations related to major and well known Immigration destinations. OM INTERNATIONAL professional understand that the decision to relocate to a foreign land is not always easy and is usually obstructed with apprehension and anxiety. At this stage, getting professional advice can do wonders to make candidates feel comfortable. Moving to a new country for studying can be quite a difficult experience. OM STUDENT VISA EXPERT brings you solutions for any overseas problem there. The Catholic University of the West has developed agreements with over 170 universities worldwide. Studying in France gives you the opportunity to explore a unique cultural and historical heritage. France is proud of its state-of-the-art science and management techniques. France is a safe, reassuring country that welcomes visitors warmly and offers an exceptional high level of welfare and protection. 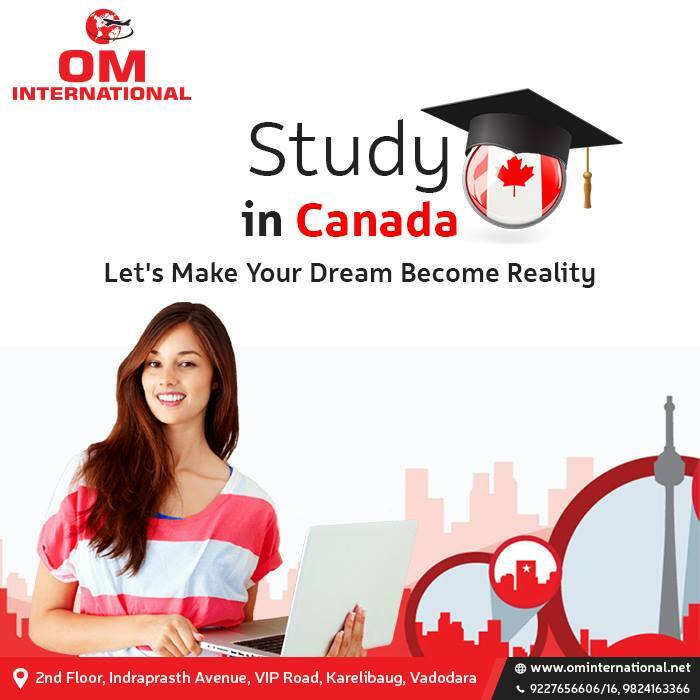 Study In Centennial (Canada) through OM INTERNATIONAL...!!! While every institute boasts of its own credentials, not every institute has OM INTERNATIONAL’s singularity of purpose, insistence on complete transparency and rich academic track record. Our expertise has been fine-honed over the years, and here are a few main reasons why we are aspiring students’ first choice for global education. Canada is located in North America and stretches all the way from the Atlantic to the Pacific, being made up of ten Provinces and three Territories. To the North is the Arctic ocean; Davis Strait on the North East separates it from Greenland, to the East is the Atlantic Ocean; the South is bordered by the United States of America and the West by the Pacific Ocean and Alaska. A country of outstanding natural beauty, Canada has a wide variety of landscapes: the mountains, the prairies, lakes and rivers with many national and provincial parks to protect the habitats. There are two official languages – English and French – and Montreal in Quebec is the world's largest French-speaking city outside of France. All of the services offered by the Federal Government are in English and French. Almost every product you buy has English and French on the labels and most public services are available in both languages. Outside of Quebec the majority of people speak English; about 18 percent of Canadians are fluently bilingual. Public education is the responsibility of each Provincial Government and is paid for through taxes. Public education is free and all children are required by law to attend school from the age of 6 years until they are 15 or 16, the majority of students continue until they are 18 and graduate high school with a high school diploma. The main languages of instruction are English and French. Canada has a public healthcare system; essential medical treatment is available to all Canadian citizens and permanent residents. Although the health care systems are run by the Provincial ministries of health, the Federal Government sets the standards for health care across the country. Centennial college focus has always been on preparing graduates to enter the work force, while teaching our students to be leaders. And worked to build lasting partnerships with local communities, while preparing our graduates to succeed globally. Locally, it continues to offer industry-recognized full- and part-time programs at four Toronto campuses. Whether in our classrooms, our labs or the community, Centennial student experience the real world before they even graduate. They're job-ready, and that's a fact employers have told us, as more than 94 per cent of those hiring Centennial grades are satisfied or very satisfied with their hires. Centennial's Academic Scholarships and Awards are based on academic, artistic, athletic or other abilities, and usually factor in extracurricular activities or community service work. An application is not required for these scholarships. However, only students with a cumulative GPA of 3.0 and above are considered for these awards. I graduated in April and consider myself ready to hit the job market, thanks to the career skills that were also taught in Marketing. “I received a lot of tips on improving my resume, increasing my chances of landing an interview,” “They also offered me tips and guidance about the interview process, which helped reduce the anxiety and stress that, comes with the job search.” In fact, I consider those skills important to anyone looking to get their career moving.